I have been using silver for years and believe in it's healing qualities. My granddaughter had a rash on her leg and we used a silver soaked cloth overnight for several nights and the rash cleared up nicely. 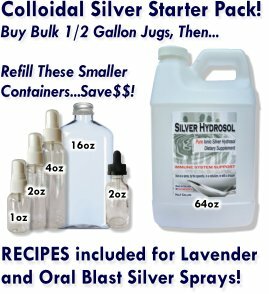 I have also used silver in a facial sauna when I have a cold or sinus infection and it works well.